The most “youthful” model in the history of Patek Philippe is just turning 20. Aquanaut remains an example of elegance, without resorting to any of the conventional arguments of the luxury industry.products in the superpremium segment. 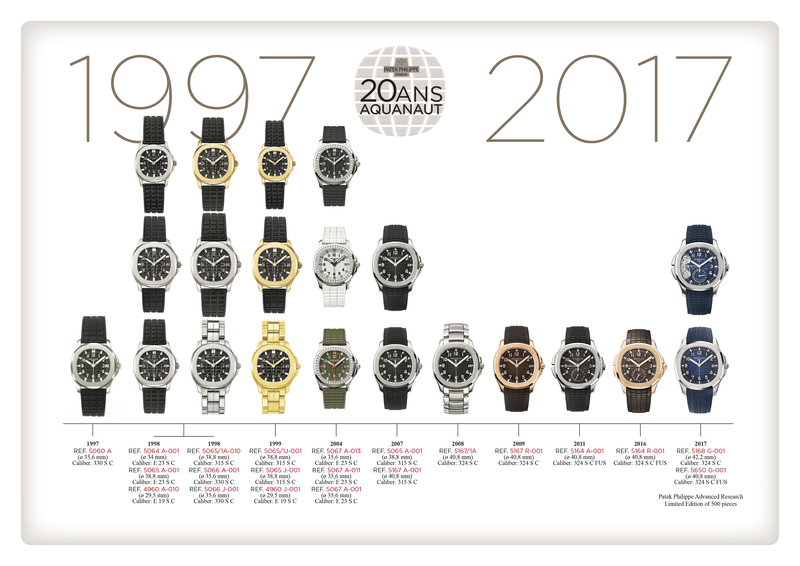 The story of Aquanaut began in 1997, at the Basel Watch Fair. 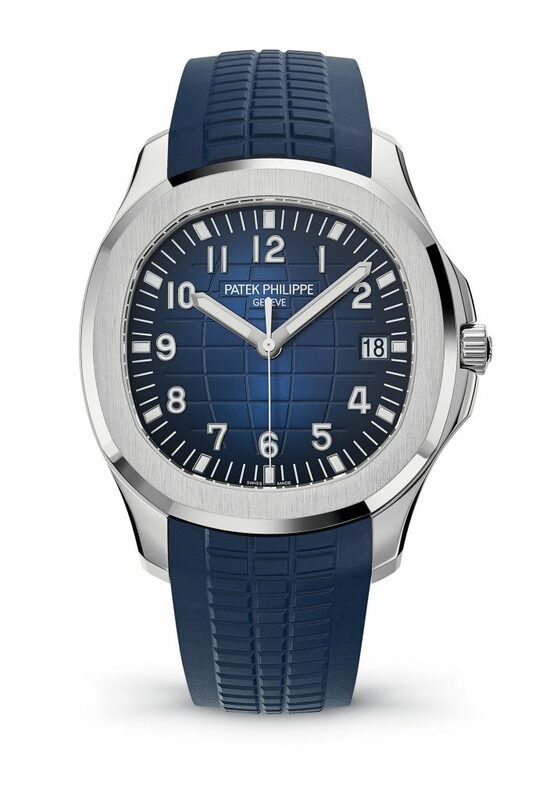 Philippe Stern, the then president of the famous Patek Philippe watchmaking house, introduced a steel watch with a contemporary design, which he characterized as a new alternative for the young and active fans. The idea of a luxury model in a steel case was no longer a novelty for the brand, since, in 1976, the Nautilus steel model had virtually re-launched the business, proving that a strong personality did not need the glory of gold. Later on, however, the same Nautilus had moved on to higher spheres, with a collection diversified with precious metals, being labelled as an elegant classic watch. Therefore, Aquanaut approached a theme with great potential for success, at a time when nobody wondered whether a luxury watch could also be made of steel. The simplified structure theoretically meant a price point under the price of Nautilus, and thus with a larger reach. 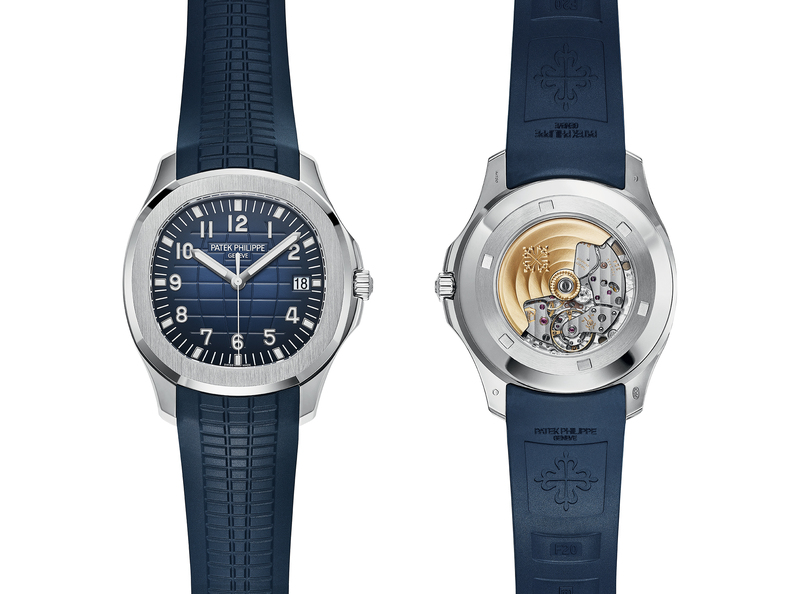 The new “Patek” came with a three-part 35.6mm case, with no additional design details, and a water resistance to 120m. The octagonal bezel was a reference to the identity of Nautilus, as was the alternation between the matte and polished surfaces. The difference was that, instead of the metal bracelet, the watch now had an innovative, durable and much easier to make rubber strap. With all the ingredients of the new trends combined, Aquanaut made it straight to the top of the most successful products in the superpremium segment. Although the yellow gold cases had appeared in the meantime, in 2004 the collection “officially” extended to reach the feminine audience, and the bezel received diamonds of the best quality. After a decade of existence, Aquanaut no longer needed an introduction, and, together with a discreetly redesigned exterior, it now enjoyed a much higher customer base than the one that the president of the company initially had in mind. Besides the original format, the 29.5, 34, 38.8 and 40.8mm versions were now available. Now, that 20 years have passed since the first steel version, Patek Philippe believes that Aquanaut also deserves a “noble” white gold case, along with a larger diameter version – from 40.8mm to 42.2mm. Although the design remains the same, the larger version features the exact recipe of complications of the 1976 model, which the collectors call “Jumbo”. And for the identity of the anniversary model to be unmistakable, the designers of the Geneva Manufacture have resorted to a distinctive blue shade for the dial and the rubber strap. 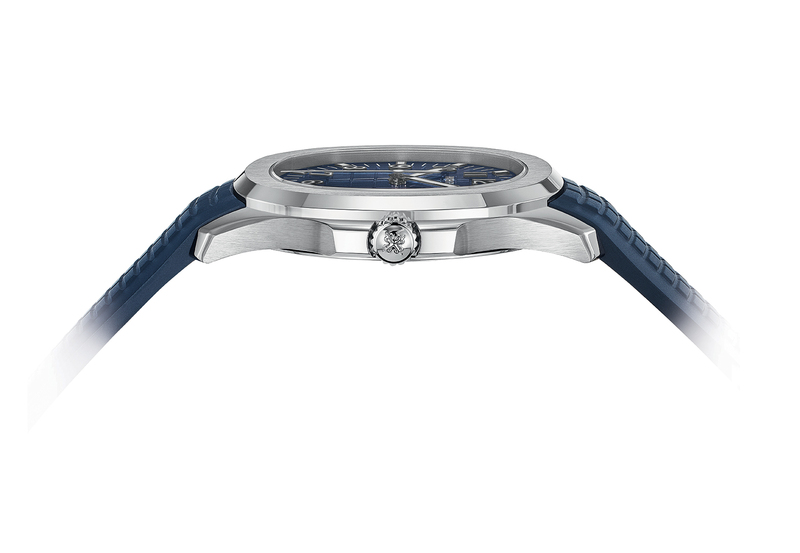 Inside, there is an in-house automatic movement, with 45-hour power reserve. It is only 3.3mm thick, which helps the watch keep a discreet profile. The price advertised is CHF 34,000.